We love to get our customers feedback, so we gladly welcome any and all reviews of our service. Click here to leave us a review. "Fast service and very thorough, I called about wasps attacking our kids and we had an exterminator show up the next morning! Brandon took the time to listen to what I needed done around the house, he also went beyond my expectations and pulled nests down( filled half a bucket!) Great service and very affordable!" ~ The N.
"These guys are great. We moved in 2 years ago and we started using them. There hasn't been any issues. They come by quarterly and spray and it's that easy. I have also had some questions about some mud daubers I found a nest for right after I moved in. I texted a picture and river got right back to me came out and took care of them at no cost. A real great company that has the costumer in mind. A++" ~ Patrick K.
“We tried other companies before but they just didn’t seem to care. It seemed as if we had a new service person every time they came out. 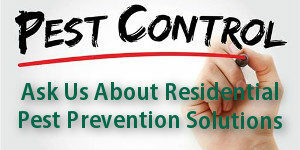 Complete Pest Prevention has been providing service to our home for the past 4 years. I appreciate the care they take to make sure we have a safe environment. As a mom of 2 small children and a number of pets, I know I can trust Jim and his crew to provide safe effective solutions without the risk.” ~Kim J. “I had an awesome experience with this company! Jim was extremely informative, prompt, friendly, courteous, and affordable!! He knew exactly what to do to treat my issues (ants and spiders). I would gladly recommend them to anyone who needs help!” ~Jordan R.
“Complete Pest Prevention has provided excellent pest control service for us since we built our home in 2005. Always on time, always just a phone call away when we needed help. Always expert results.” ~Gary & Annie F.
“These guys take great care of us. When we moved in to our house it was loaded with bees, spiders, and ants. They took care of all of those infestations and have kept us bug free with regular visits ever since. If you have any issues in between the regular scheduled seasonal visits they will come out right away and take care of it. On top of all that they are trustworthy and friendly to boot. Highly recommend if you’re looking for reliable year round pest prevention.” ~Keifer M.
“Great company and knows what to do in every situation to get rid of pests.” ~Tim R.